1. Button storage. To make it easier on yourself glue one of the buttons to the outside of the egg so you won't have to open each egg looking for the correct color. 2. Tea cups. Seriously! 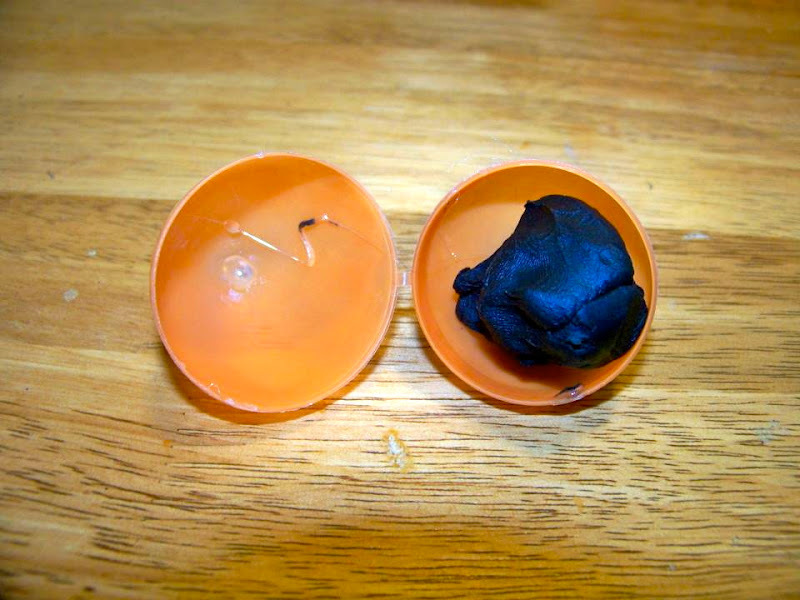 Just hot glue anything round like a button, poker chip, or penny to the bottom of the egg. Double up a pipe cleaner, bend into the shape of handle, and glue it to the side. Voila! A teacup! 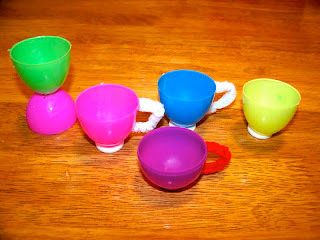 You can also glue the bottom part of the egg to the top to make a mini-goblet. If you plan on putting anything into these cups make sure you dab some hot glue over the little holes. 3. Snack container. 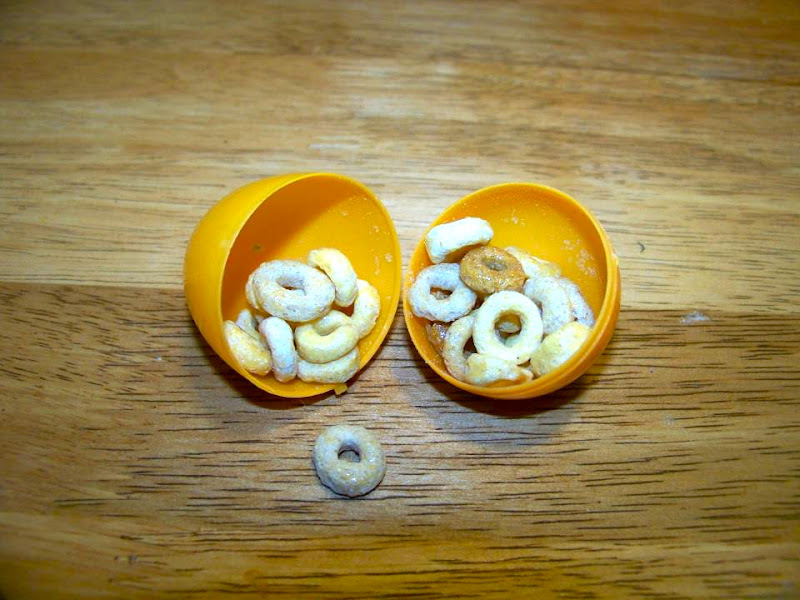 These are perfect for bunny grahams or Cheerios. 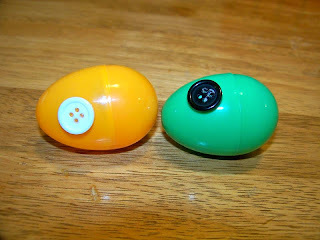 Just stick them in your purse and you are good to go. 4. Teaching tools. Write the uppercase letters of the alphabet on the top halves of the eggs and the lower case letters on the bottom halves. Mix them up and let your little one match the letters. I also did this with math problems. 5. 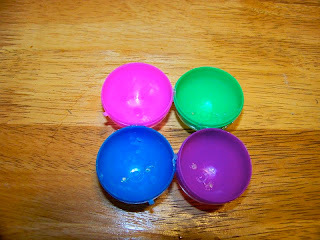 Play dough containers. 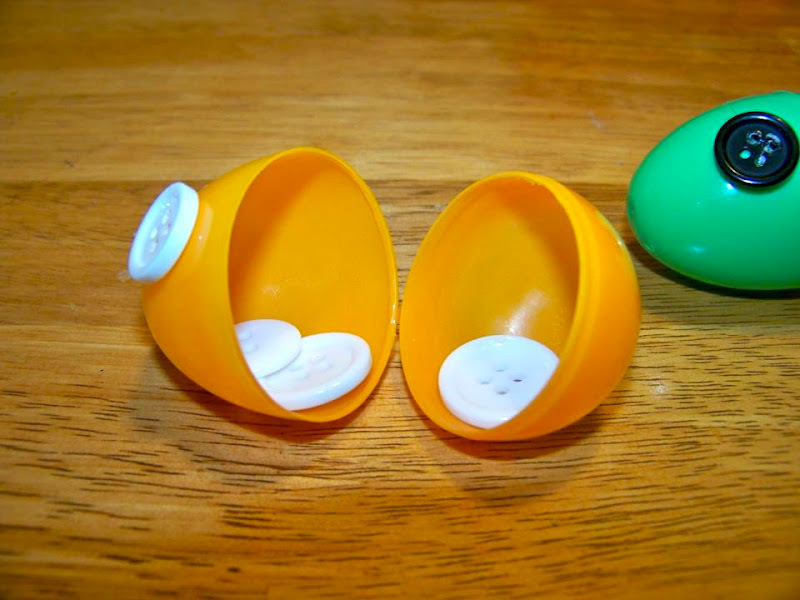 Use the eggs to store homemade play dough, or even clay. Just make sure you cover the holes so no air gets in. This is black Halloween dough and yes...it looks disgusting! 6. Paint containers. 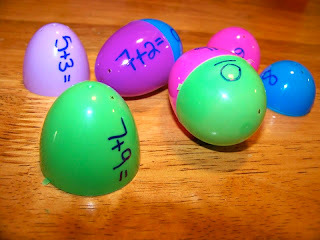 Cover the holes with hot glue and glue the eggs to one another as shown. This is perfect for painting projects. I used mine to hold home-made sidewalk paint. 7. Seed starter. Because most plastic eggs have little holes at the bottom they make perfect seed starters. 8. Seed packets. 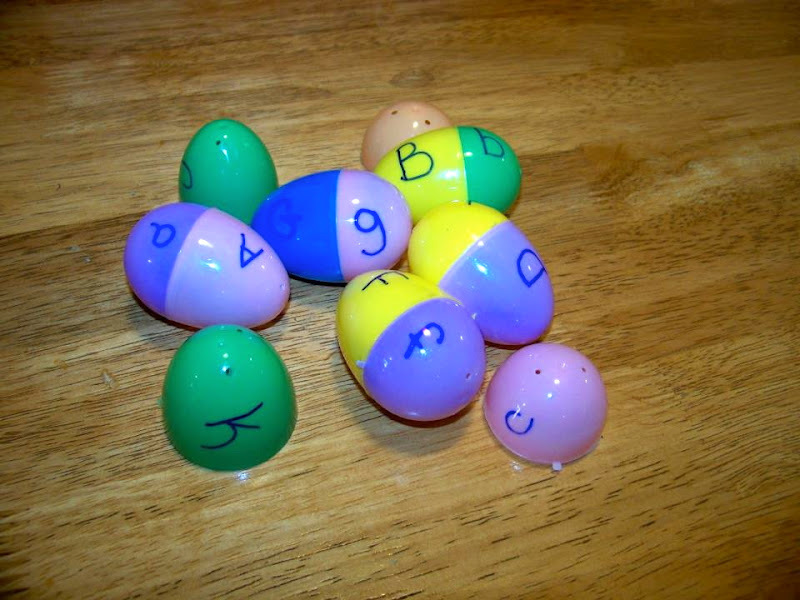 You can use your eggs to simply hold your seeds until you are ready for them. 10. 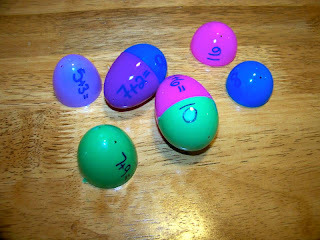 Store little game pieces like BINGO chips. I hope this helps you cut down on your every-growing supply of plastic eggs.